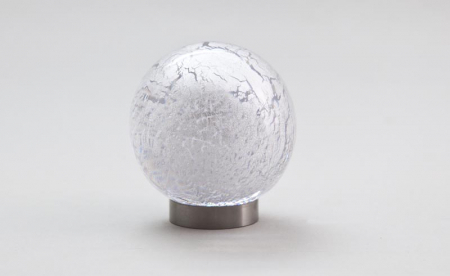 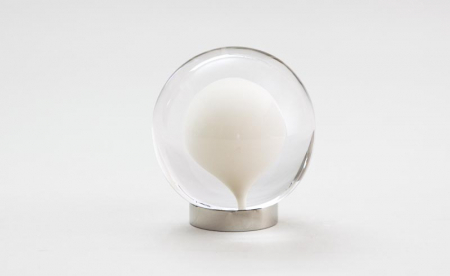 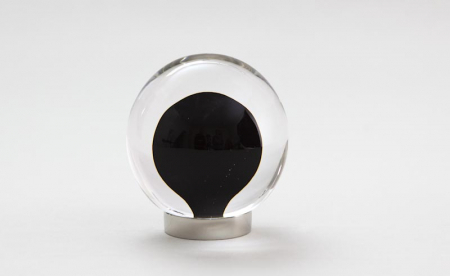 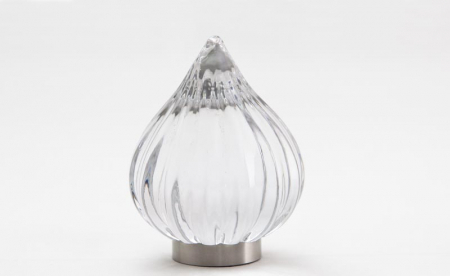 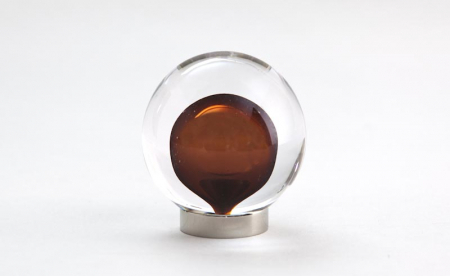 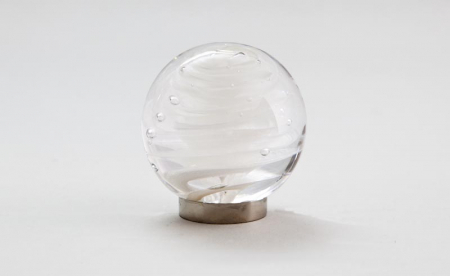 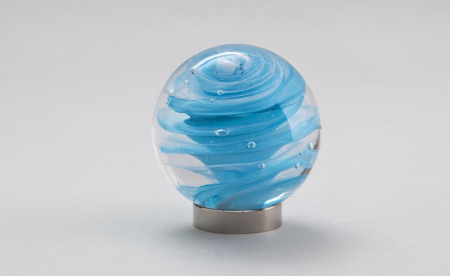 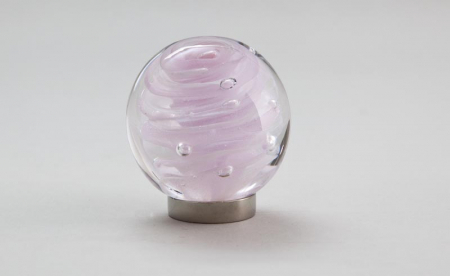 Our handmade glass finials for curtain poles or newel posts come in seven styles. 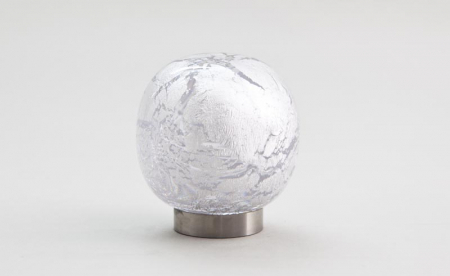 Choose from a contemporary look or more traditional design, whether in clear or coloured glass, or enhanced with pure silver or 23.5 carat gold leaf. 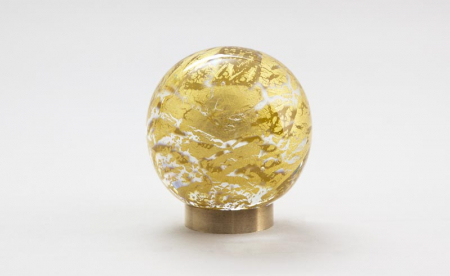 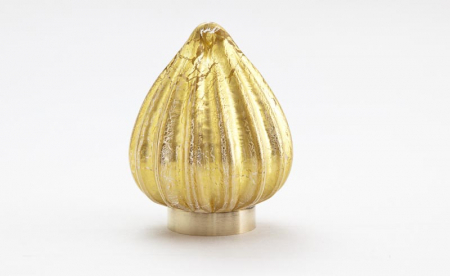 We generally recommend the smaller sizes for curtain pole finials, and the larger sizes for newel posts, but this of course is entirely up to you and your particular requirements. 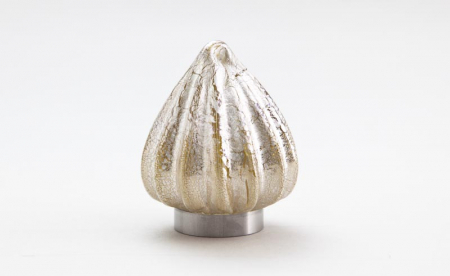 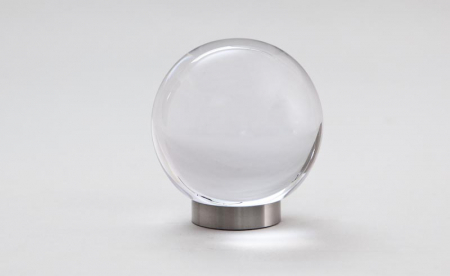 Our finial fitting is 38mm diameter and is available in three finishes: stainless steel, polished nickel and brass. 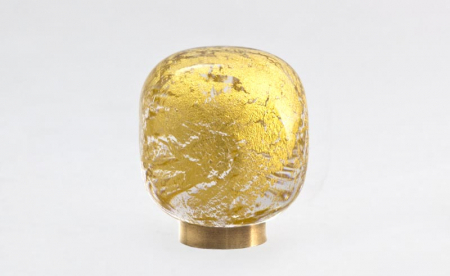 Please be aware that the nature of the handmaking process means that dimensions have a tolerance of a millimetre or so either way.